This Winter Squash is low in calories and unlike many other winter squash varieties it’s not starchy and has relatively low carbohydrates which makes it favorable to many low carb diet plans. Spaghetti squash is very versatile. It can be prepared and served alone as a substitute for pasta. Try it with butter and parmesan cheese. 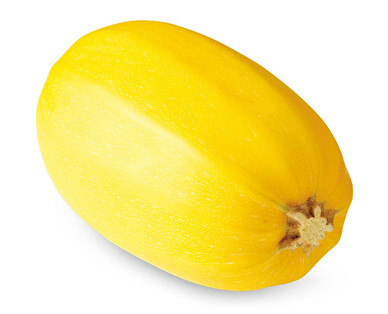 Always choose squash that are firm and free of surface cuts and which feel heavy for their size.